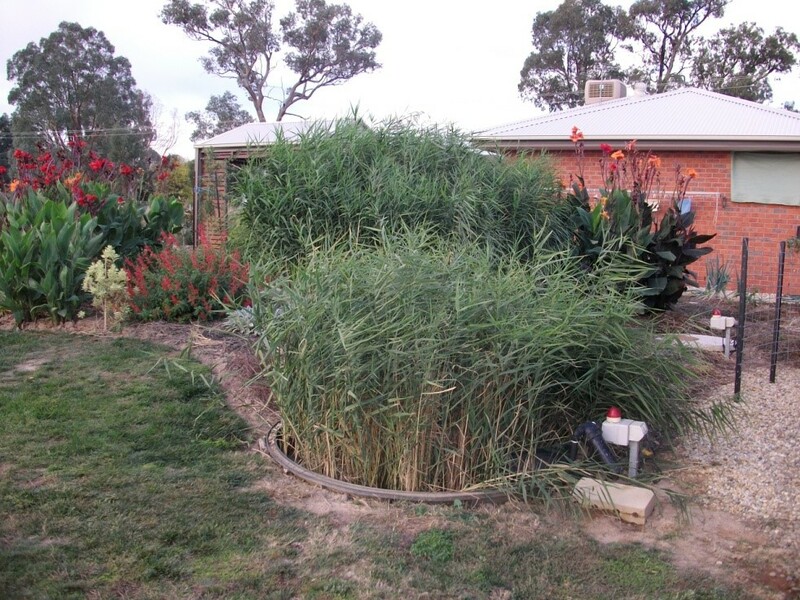 Rootzone Australia's system is a variation of a system commonly known in Australia as reed bed treatment systems. Relatively unknown in Australia but in operation in large numbers in Europe for over forty years they have the advantage of almost zero energy usage and extremely low maintenance costs. The principles are simple and readily understood (see here) the practice a little more complex. Wastewater is collected in a septic tank (you may be able to use your old one) and flows by gravity into a horizontal flow reed bed which treats the septic effluent to a secondary treatment standard. The flow through the reed bed is about 150mm below the surface so no exposure to untreated effluent and no odours. Secondary treated effluent is further treated in a vertical flow reed bed and the tertiary treated effluent is stored in the base. A pump in the base of the vertical bed pumps to an irrigation area. In the original designs (1980's version) the media used was exclusively soil based but problems with hydraulic capacity coupled with output standards that were not particularly difficult to meet lead to a movement to gravel media which is hydraulically much easier to handle. However the performance of soil based systems, particularly in respect of nutrient removal is far superior and with suitable amendments the hydraulic problems have been overcome. Rootzone Australia's system is based on an improved process flow incorporating two stages plus an option for a third stage which can be used to further improve performance if required in particularly sensitive areas. It also utilises a novel media, which replaces the soil media. The new media, which is an integral part of the patent, possesses superior qualities both hydraulically and functionally in the process. The end result is a substantial improvement in the quality of the output while at the same time reducing the area requirement and cost. Rootzone Australia's standard design for a domestic unit has an active area of 10sqm, a total footprint of 20sqm and can handle effluent for up to 8 persons. Typical output quality is BOD<10 suspended solids are <10 and turbidity typically 2-3NTU. The effluent is almost all of the time fully nitrified and capable of disinfection by U/V. The system is accredited in Victoria for volumes of up to 4800L/day and in New South Wales and Western Australia up to 1200L/day. The owner's manual is attached.